All photos credit to Kirsti McIntyre. 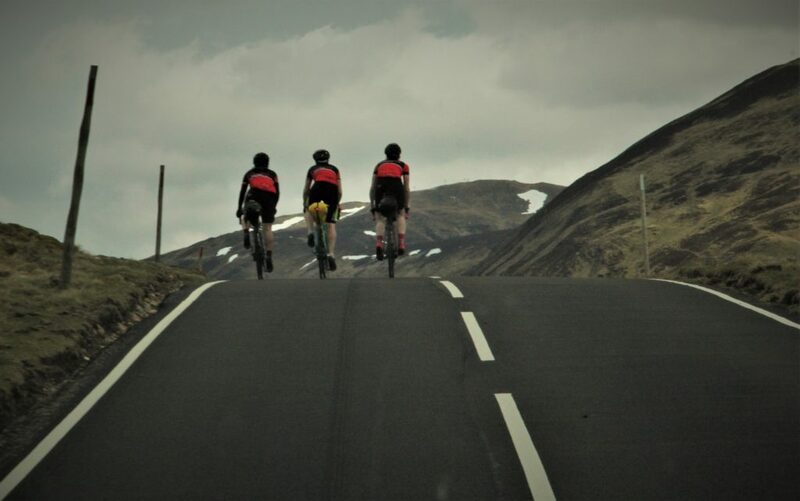 We adapted it slightly to suit us, so in short we rode Aviemore > Pitlochry > Glenshee > Ballater > Lecht > Aviemore. 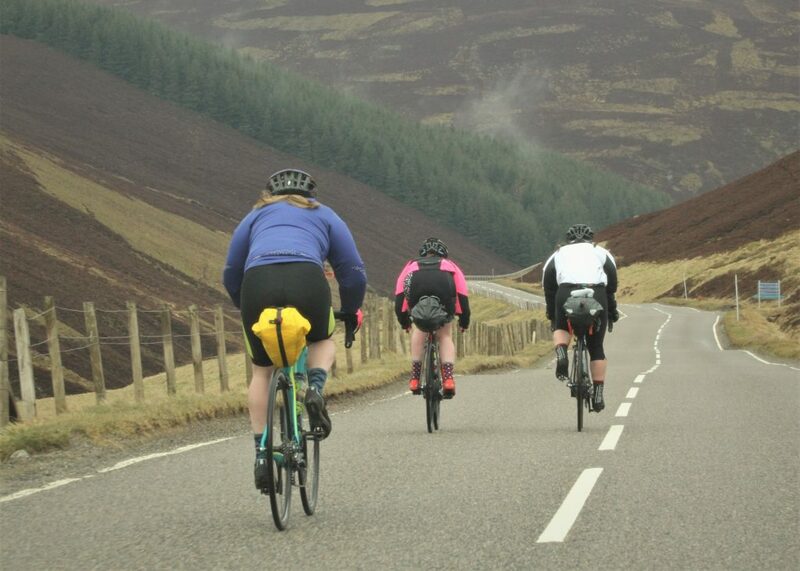 We weighed up the pros and cons of what bikes we should ride, some of us own gravel bikes but decided that (most of) the roads should be pretty smooth and fancied the lightweight road bikes for the climbs as once the bikes were loaded up they gained a little bit of weight. 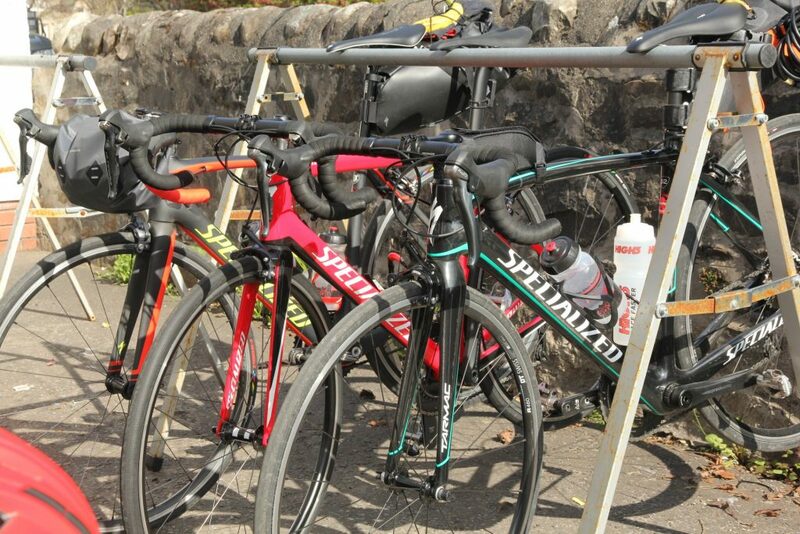 We all rode Specialized Carbon Road Bikes loaded up with rear saddle packs (these also acted as great mudguards in the rain! ), I changed up my tyres to a set of 26C S-Works Turbo tyres. 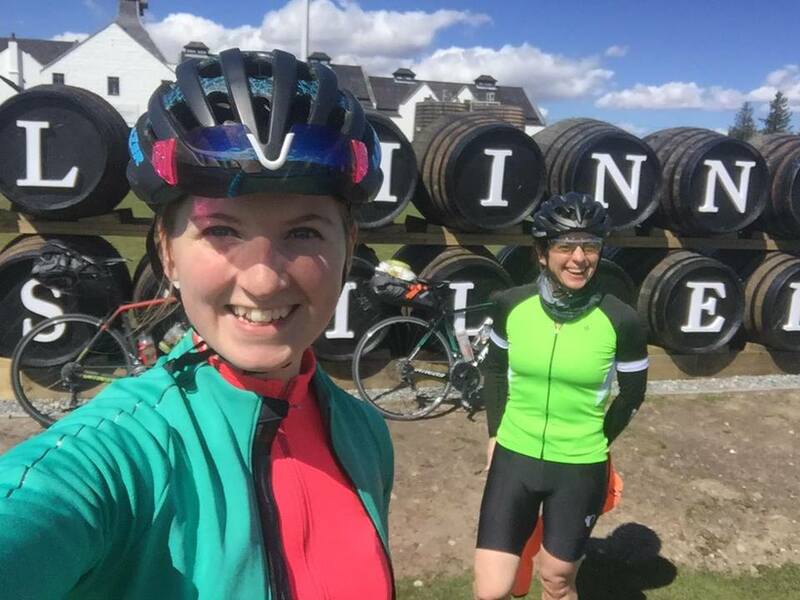 Although lightweight and not too puncture proof the extra width on these tyres did help me on the rough cycle track between Dalwhinnie and Bruar and I managed without any punctures (result!). Apart from a tyre swap I just rode my bike as it was. Arm and Leg Warmers, these are great as they are quick and easy to pop on at the side of the road when it gets chilly. 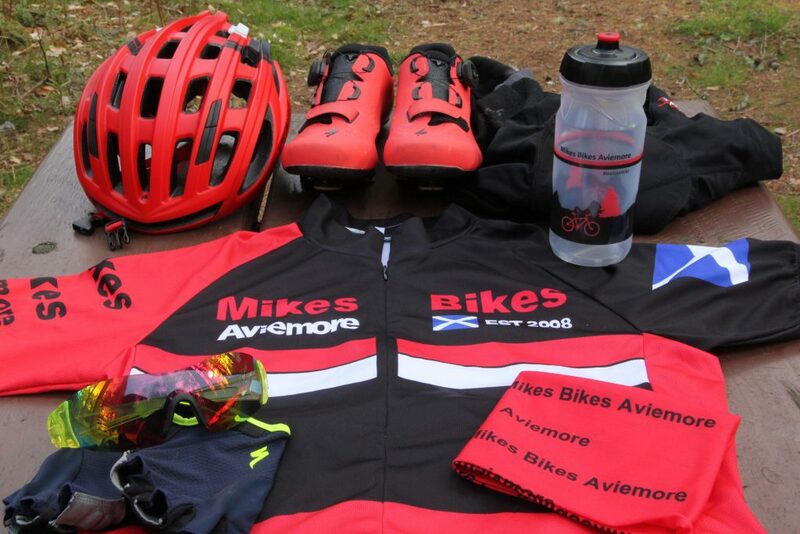 Waterproof clothing, seriously it was May and it snowed on us, you never know in Scotland, be prepared! 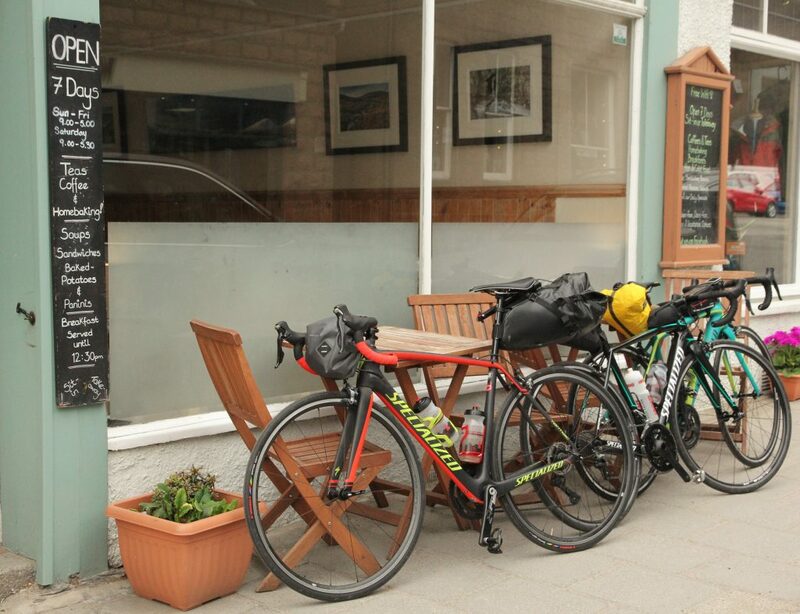 Food – take a wee stash of cereal bars etc, a lot of places were shut that we planned to stop at so don’t rely on cafes for your food. A decent pump, the last thing we wanted to do was spend ours fixing a puncture so we packed the TruFlo Mini Track pump, easy to store but quick at pumping up flats. Top Tube Bags, these are great for snacking on the go to save you opening up your big pack. Camera, you see so much more by bike, we were amazed at some of the stunning views that we had never noticed before. A bike lock, even although our accomodation had safe bike storage it was nice to have that extra security. 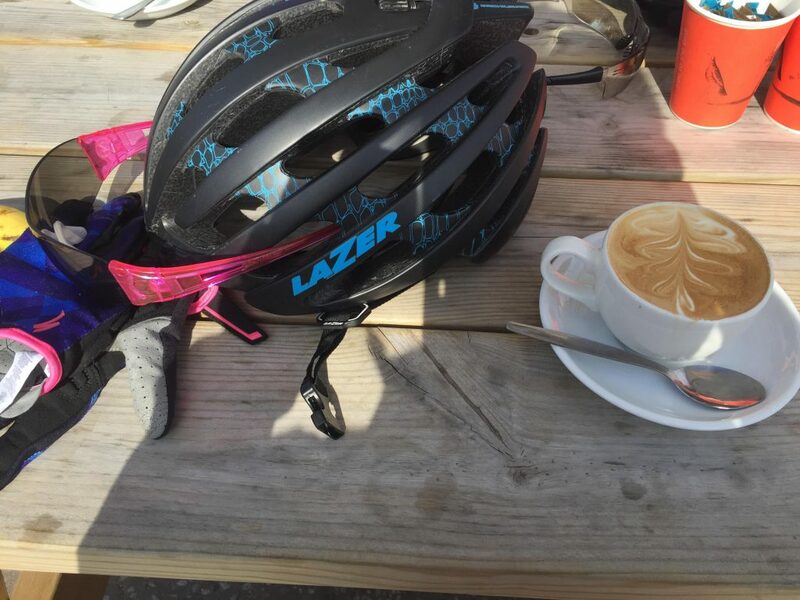 On Monday we set off from a sunny Aviemore and headed along to Newtonmore where we had our first coffee stop at the Ralia Cafe, we were on this trip to have fun of course! Around 15 miles of the track reminded us of the Old Logging Way mountain bike track, rocks, holes, gravel and bridges were all part of the ride. We negotiated the lumps and bumps at a very, very slow pace as we did not want to puncture, I definitely would not recommend carbon race bikes for the Sustrans Route 7… Anyway we then hit the old A9 which was wide, smooth and had no traffic all the way down to the House of Bruar where we had another stop of course. 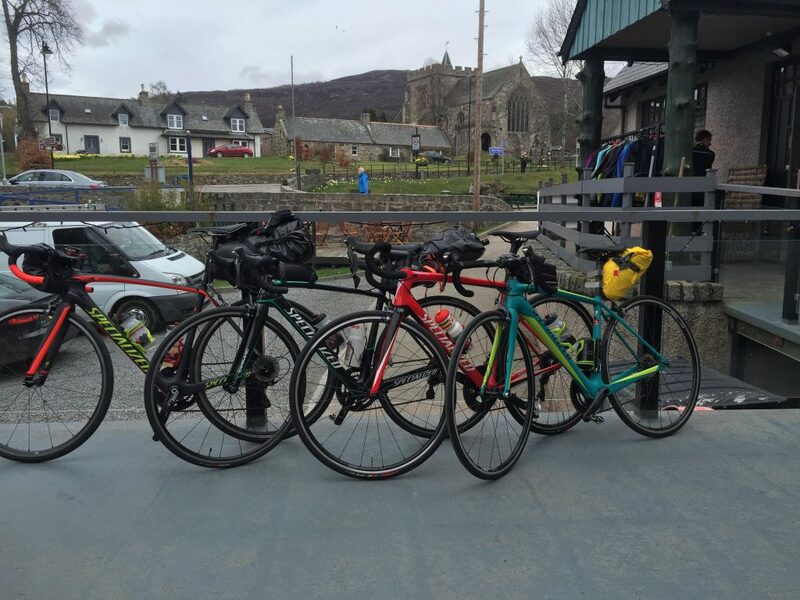 From the House of Bruar we headed along to Pitlochry which would be the end of our first day, a quick check over of the bikes (we were pleased not to have any cut tyres after the cycle track!) and we popped out for dinner at the Old Mill Inn – Pitlochry. 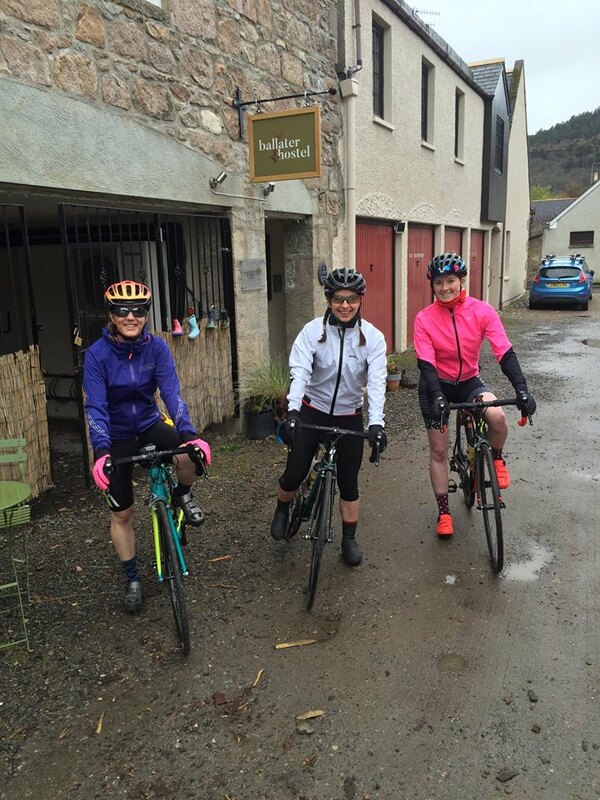 We knew that day two was going to be a bigger day than the first but our two became four when we met Mark and Gemma at the Escape Route Bike Shop Cafe in Pitlochry for morning coffee! 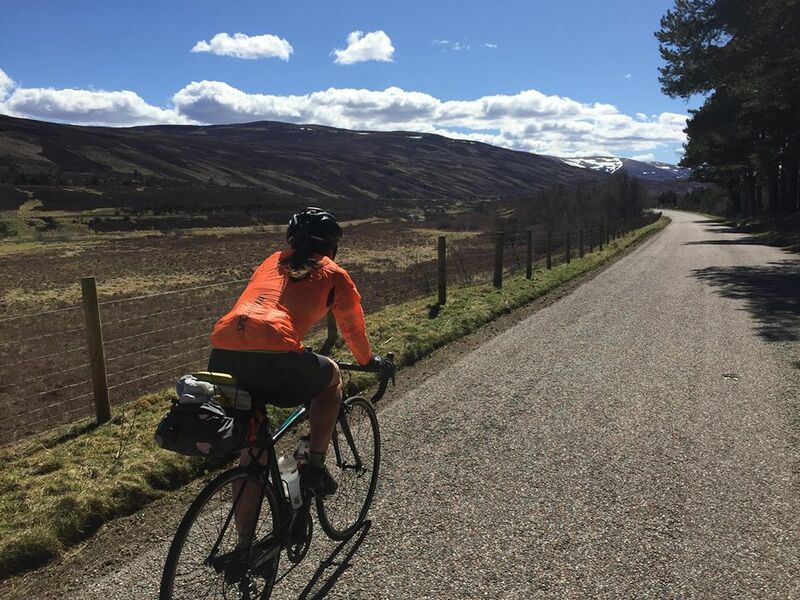 We had a bit of a late start as Gem was due to take the train from Aviemore with her bike however delays with trains meant she jumped in her van and drove down to Pitlochry to meet us and off we went. 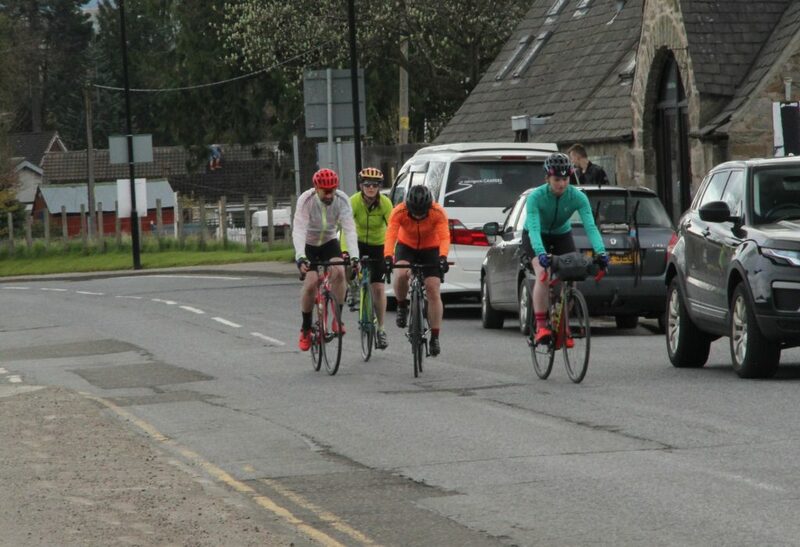 The sun was shining and within 5 minutes we were climbing out of Pitlochry through the lovely little villages of Moulin, Straloch and Kirkmichael. 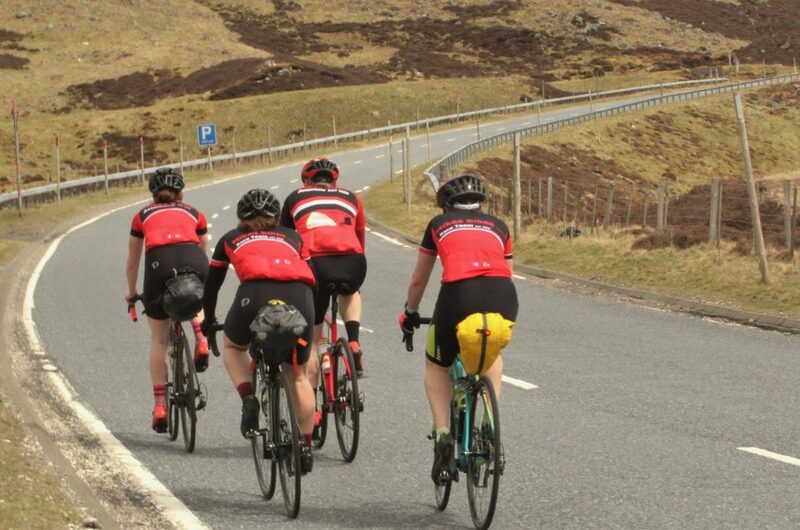 We were all amazed as literally just 5 minutes out of Pitlochry we were faced with stunning views of Perthshire followed by smooth descents and climbs through the moorland looking onto Glenshee and the Cairngorms! It’s amazing in Scotland how the scenery can change so quickly. After about 30 Kilometres the gradual incline started to Glenshee Ski Centre, surprisingly we all found it slightly easier than we thought we would, unfortunately there was no ‘Tea at the Shee’ as the cafe was closed at the Ski Centre so after a quick energy bar (it was chilly at the top) we jumped back on our bikes and descended into Deeside. 10 Miles of descending was amazing! 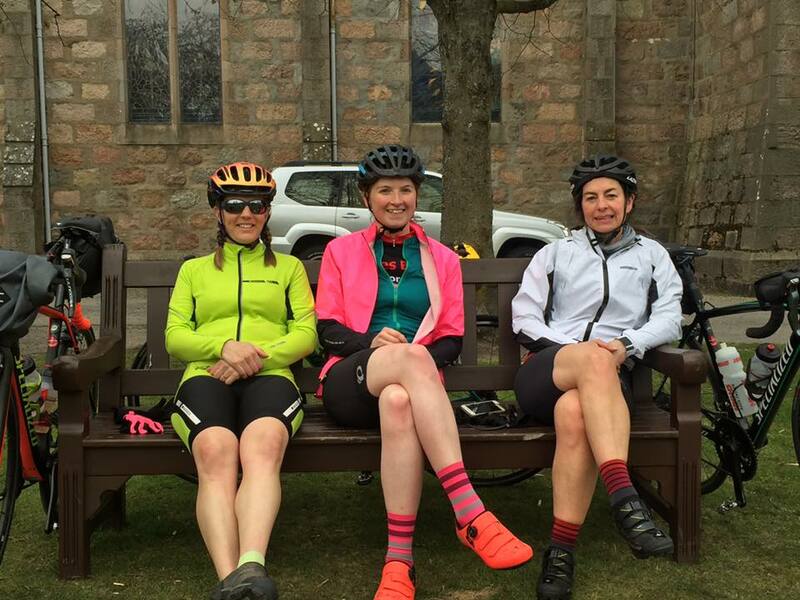 We were delighted to make it to Braemar in just under three hours so relaxed in the Braemar Mountain Sports Coffee Bothy Cafe for, well, a while! We even had a wee bit of retail therapy in the shop… we definitely recommend this cafe, lots of dietary options, a warm welcome and a nice buzz about the place. 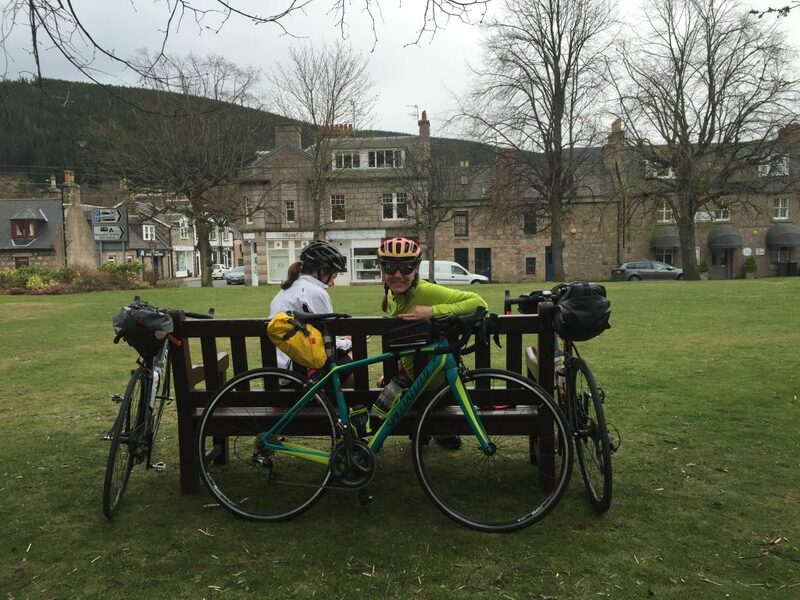 Getting back on the bikes at Braemar we felt ok as we knew we only had around 30 KM to get to Ballater where we would be staying for the evening in the Ballater Hostel. Dom the owner met us and promptly showed us their fantastic bike shelter with bike racking and padlock (gold star from us!) and then informed us that we were the only folk staying in the hostel that evening – result! This meant we had the whole place to ourselves and could enjoy their fantastic lounge and dining area which was extremely well equipped with maps, books, comfy sofas and a big TV – what more could three sleepy bikers need?! Waking up to the sound of rain on the hostel window didn’t exactly make us want to jump out of bed on Wednesday morning, the forecast was pretty grim for the whole day – everywhere! An hour or so of kit faffing and we were ready to go, all waterproofed and layered up we hit the road home. It was grim, avoiding potholes and puddles along the road to Gairnshiel Lodge and over the humpbacked bridge (great photo stop!) 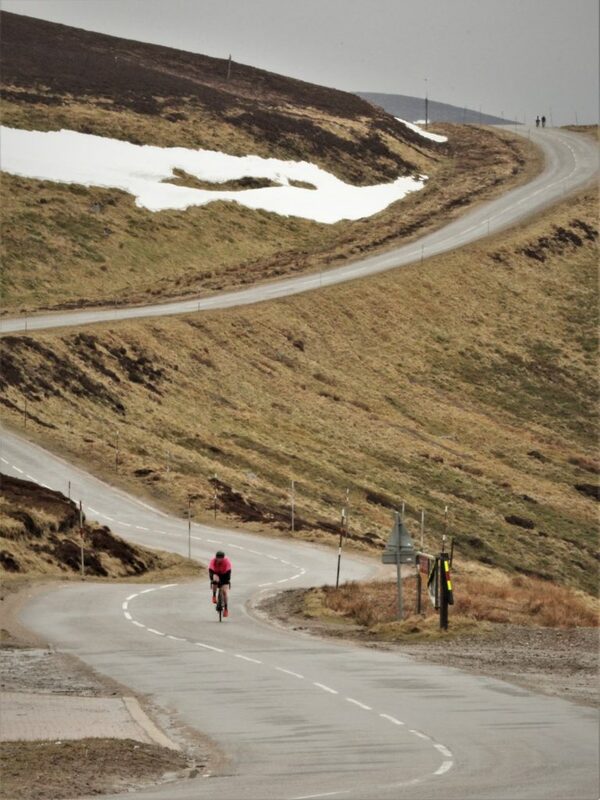 where our we spotted our friends who had made the trip over to tell us just how bad the weather was on the Lecht!! Our hearts all dropped a bit as we could see the clouds surrounding the hills ahead of us and a fresh dusting of snow on the tops. 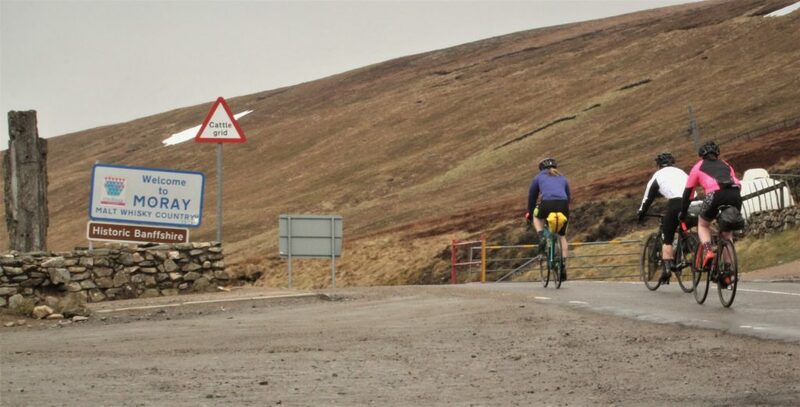 It was a big up and over to Colnabaichin (Carolyn thought that was the hills over for the day until she looked ahead) where there was then what would of been a stunning view of the next section of road sweeping up, up and up to the Lecht Ski Centre (645M). Another 12 Kilometers of battling through snow, hail and a ferocious head wind and we could finally see the Lecht Chairlift swinging away at the Carpark. That was definitely one of the steepest things I have ever climbed on my bike! Hurray Hot Chocolate time! 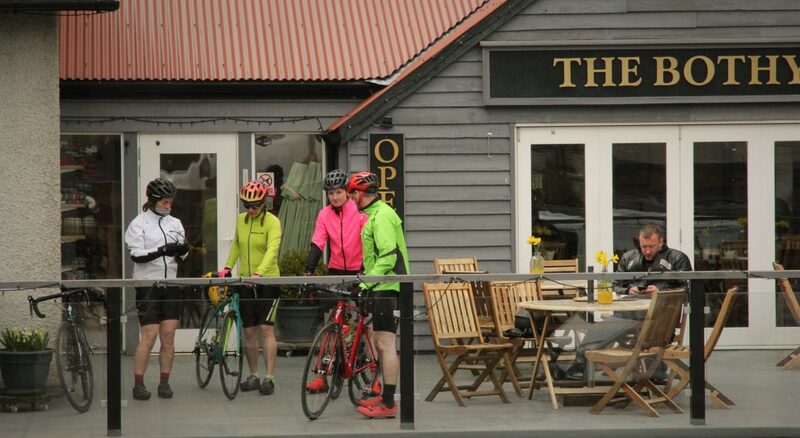 Or not, the Cafe was closed which was a bit of disaster – moral of the story here is to always prepare for the worst. 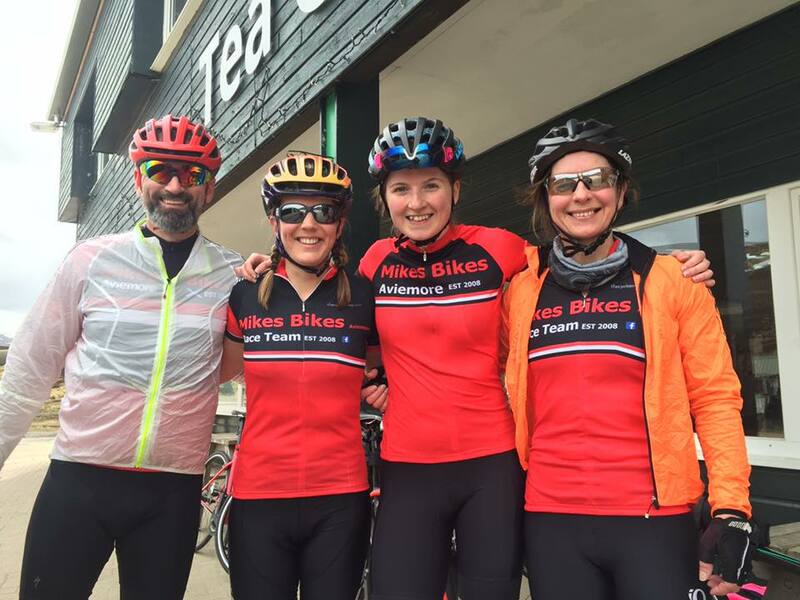 Cafe closed, snow and wind – we love summer! 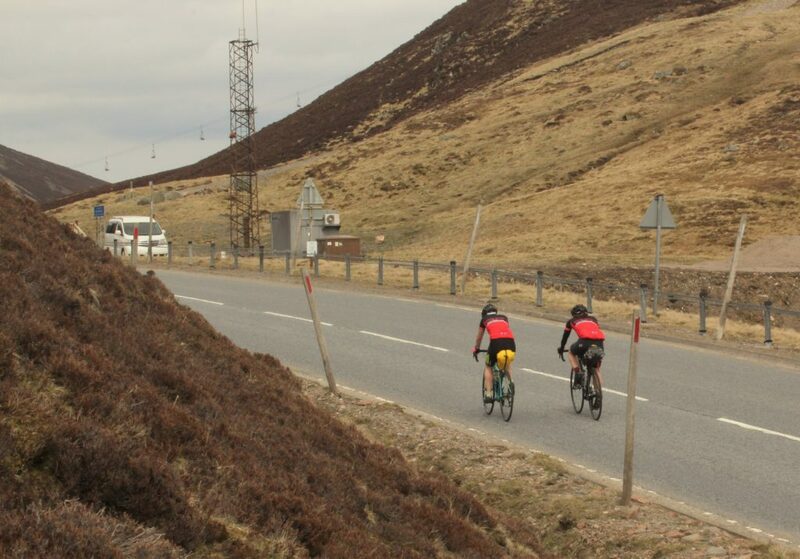 A fast descent into Tomintoul and a quick change into warmer clothes in a bus stop we then enjoyed a break in the weather and a second wind as we were now on the home straight! 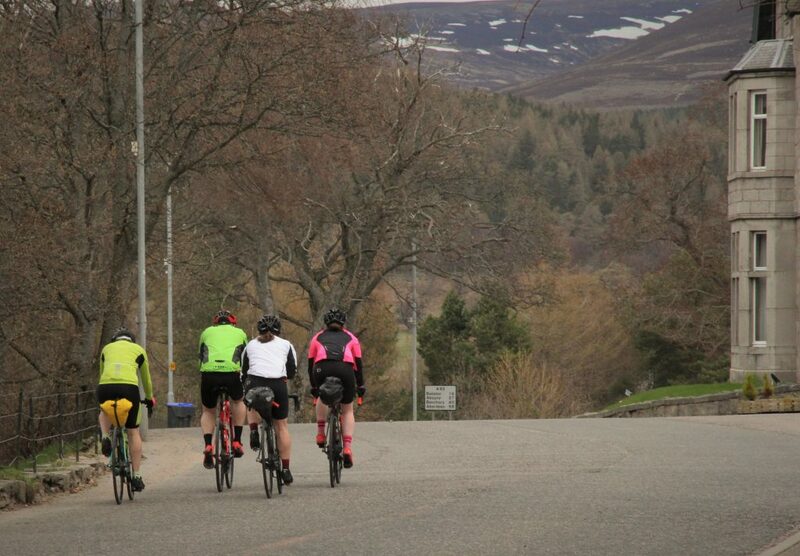 We really felt our legs on the Bridge of Brown though – it’s a wee stinger and by this point we were really starting to flag after 3 hours of pretty horrific weather and closed Cafes but none the less we plodded on and took in the the nice scenery of Tomintoul and Glenlivet. 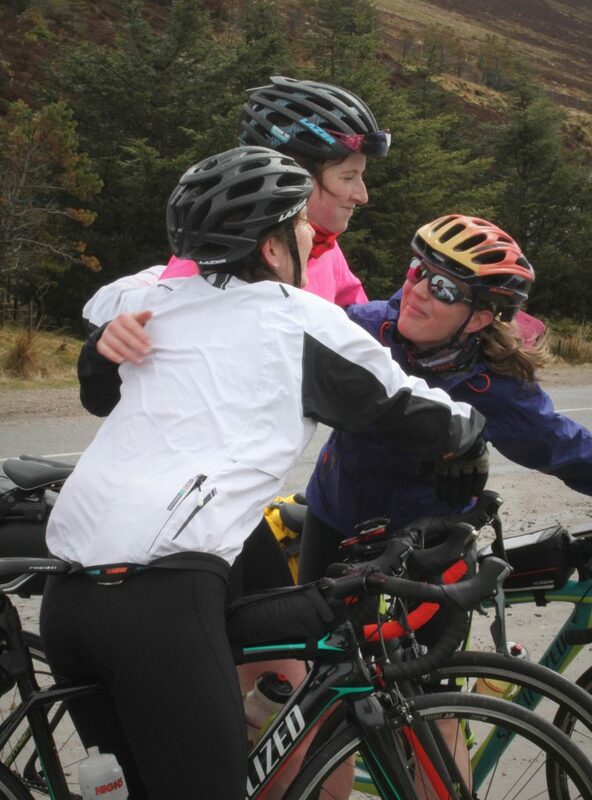 The three of us had never been happier to see Nethy Bridge and then Aviemore!! 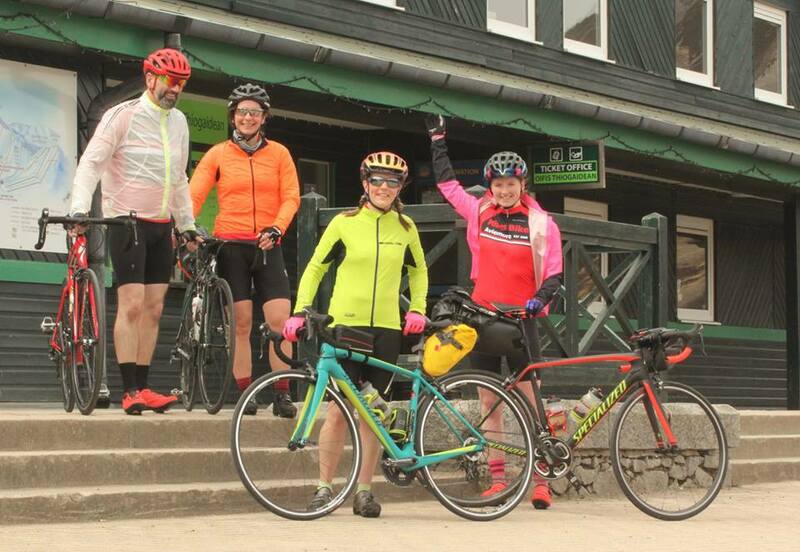 The whole trip came to a total of approximately 260 KM’s which worked out about 4 hours of cycling each day for us not including stops. I would highly recommend this route as a great way to get into bikepacking/cycletouring as there are plenty of nice villages to get food and a bed for the night, the roads were quiet and we didn’t have to cycle on any busy main roads. Although the Ski Centre climbs were hard they did introduce a bit of a challenge and excitement into our three days and riding in a small group meant we could all help each other and keep a good pace up the hills. 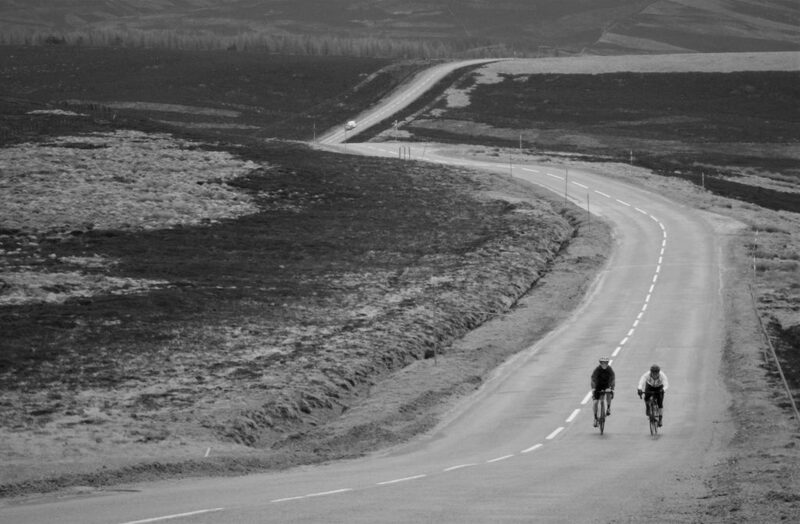 If you are interested in riding this route then just ping us an email at info@aviemorebikes.co.uk if you have any other questions about the route.